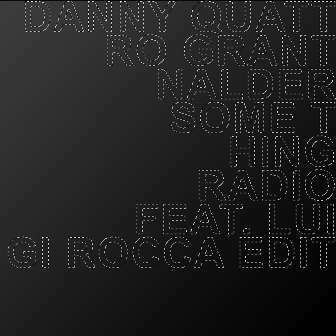 Danny Quattro & Grant Nalder make a precise capture of the modern musical preferences in order to create a serial successful release on the Italian electronic music label 303lovers - Something Radio. The unleashed track package includes an Edit by the imprint`s co-owner Luigi Rocca who is firmly staying @ #1 on Beatport for one month with his Remix for Keep On Jumpin. Do not miss the creation of the giants of the Underground Music scene! Cool release - will support! many thanks guys cool tracks! Great Track, Rocca rocks it out nicely! Rocca edit for me. Will be playing it this weekend. Original has the weight for me, skills!!! What a vibe, great release it is! Original is very cool,very Hauswerks sounding again,but Marshalls mix is slamming and clean and crispy too !!! Luigi's remix rock the floors!